Rich forests, both upland beech-maple and swamps in moist ground. The pale-flowered form lacking the usual purplish markings is known as f. pallidum House, and has been found at a few localities in the state. MICHIGAN FLORA ONLINE. A. A. Reznicek, E. G. Voss, & B. S. Walters. February 2011. University of Michigan. Web. 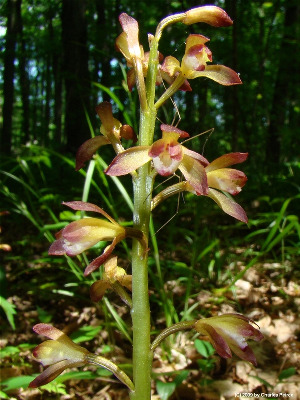 April 22, 2019. https://michiganflora.net/species.aspx?id=1794.